As I reflect upon my tenure as a member of the Christina School Board member, I am often reminded of those Delawareans who support a genuine, equitable, and robust public education. Christina School District, oft maligned by the state and its executive leadership, sometimes struggles to find true champions.The state is routinely cutting state funds, eliminating reading and math specialists, foisting tests with no evidence of efficacy whatsoever, and attempting to intervene in district operations with prescriptive plans and fixes that literally ignore and hurt those we serve: students. 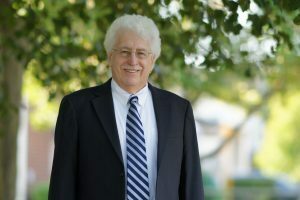 Rep. John Kowalko, is one of over a dozen elected members of the General Assembly who have Christina School District students in their areas. Without reservation, I can safely assert that he is the only member of the General Assembly firmly and staunchly committed to our mission and goal of serving students, their families, and our taxpayers. John Kowalko comes to meetings. John Kowalko speaks truth to power, as evidenced by his unflinching courage in confronting governors of his own party who have refused to serve children with research-based, informed policy whenever needed. He stands with our educators when those polices seek to undermine their profession and hurt their students. He has worked to support parents by affirming a right they already have, to opt out of statewide testing. John Kowalko is a man of integrity. He is a much-needed voice of reason on public education in a sea of pontificating, calculating politicians too timid to challenge the inequity of choice and those literally unwilling to become educated on education policy and accept that as a charge of their office. On November 6th, vote for John Kowalko in the 25th District. He’s done the work, he’s walked his talk, and he’s ready to continue the fight. His courage and resolve are needed now more than ever for our students and schools.